And you invited me to the meeting. extremely condensed with years going by in seconds. In waking life, we, also can consider events a lifetime apart in a second, but we have the sense of the amount of time that has passed. A recent Nobel Prize was given for the discovery of discrete cells that are used to recognize exact locations in space. Now, exiting new research demonstrates similar time cells that recognize the intervals between events in our memory. These time cells are closely related to the space cells. This post will discuss time cells and a future post will discuss more about place cells. Specific cells that encode memories in the hippocampus fire at discrete times during that memory, structuring the series of events in time. The memory is structured in both time and space. 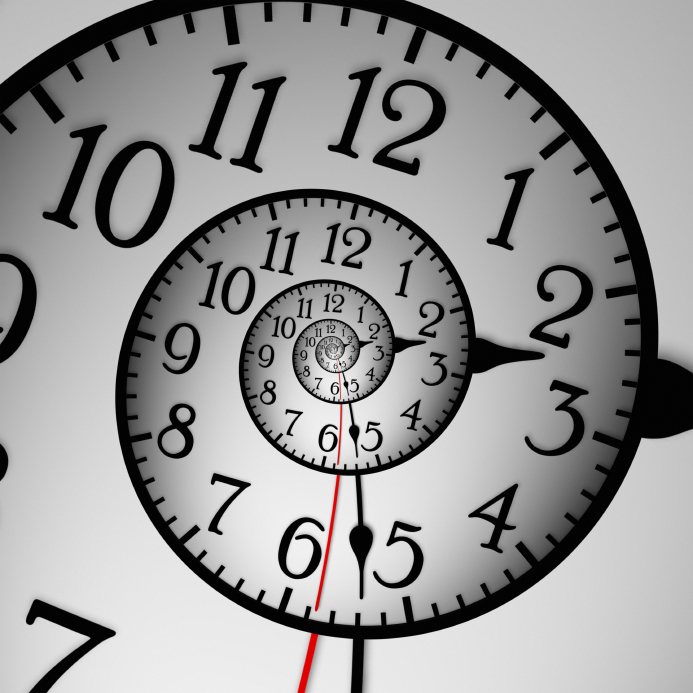 Time cells don’t fire related to external triggers of time, such as circadian rhythms. These cells code the time sense of events for a specific memory. 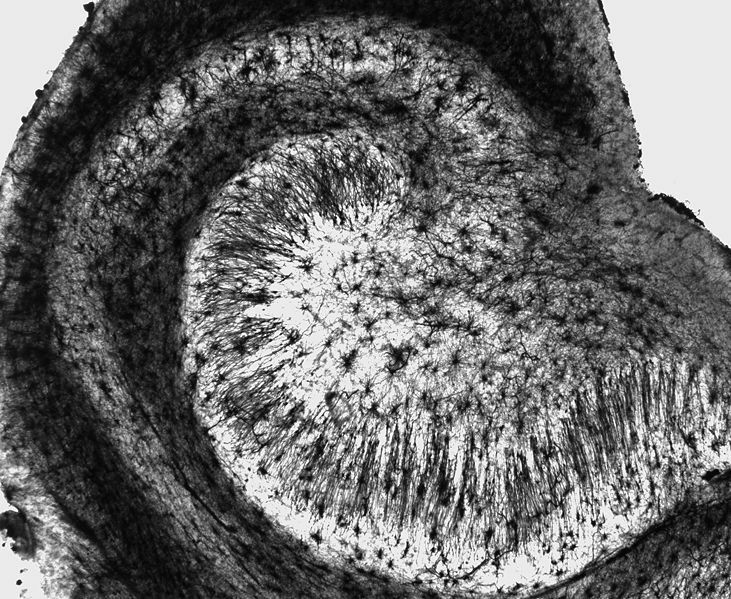 Previous research has demonstrated the hippocampus organizes memories by time, with the sequential ordering of the events. This sequencing, also, occurs for many events that have no relationship to each other, except for their place in the time sequence. When classical conditioning is used in experiments, pyramidal neurons fire in the time sequence of the training, including whether the subject waited a short or long time between the stimuli. The new research shows that time cells fire when there is a structured experience over time that will form a specific memory. It is now known that space cells in the hippocampus are critical for remembering spatial relationships in the environment. Some of these space cells fire when we are in a particular place. 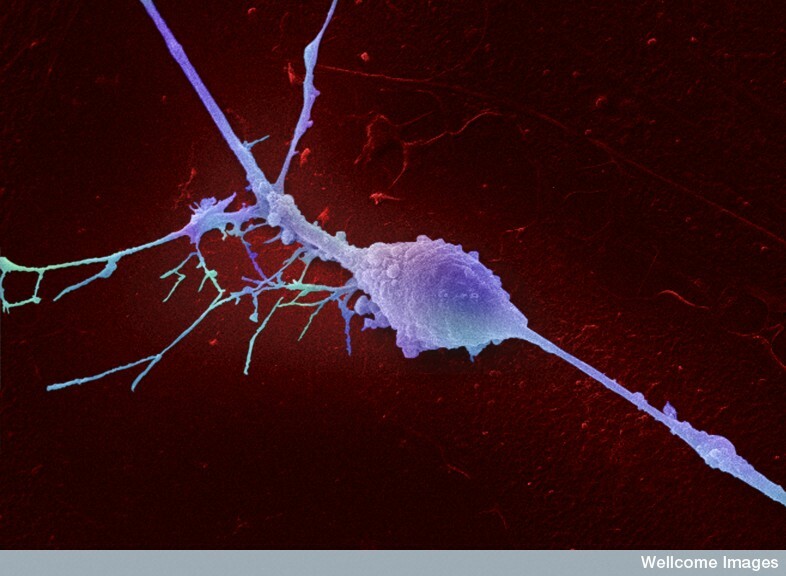 Particular neurons fire when going to a specific place—these are called place cells. Another set of cells in a sub region of the hippocampus called the entorhinal cortex respond to the direction of travel and the distance travelled—these are called grid cells. In 2014 a Nobel Prize was given to John O’Keefe for identifying place cells and Evard and May-Britt Moser for grid cells. 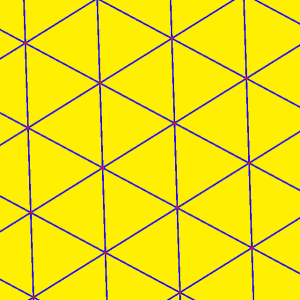 Together these two types of cells are like a piece of mental graph paper. They allow us to have some understanding of just how far we have travelled and in what direction. Another new cell is called the head direction cell that fires when looking in one direction, such as south. 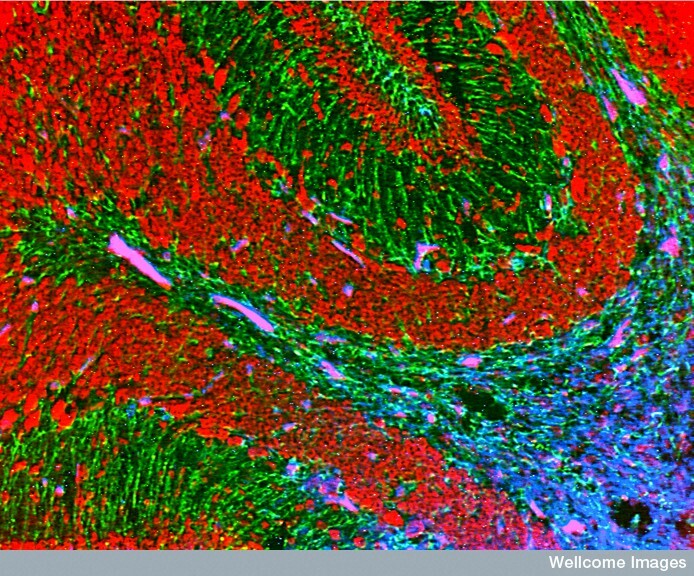 All of these cells together form the hippocampal spatial map. When we are trying to navigate a particular trip, this region is very active, especially the entorhinal cortex. This is now considered to be our “internal compass”. What is very interesting is that these same centers fire when we are thinking about going in a particular direction and when we travel in that particular path. When we set goals for travel we activate these same hippocampal space maps. 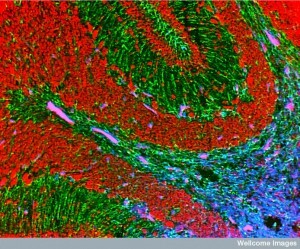 This research is ongoing currently, but it appears that the same head direction cells seem to have multiple functions. They appear to fire for the current travel direction, but then alternate and switch to the direction that we want to go. We all know people who are particularly good at navigation. These people have more coordinated activity in these circuits. 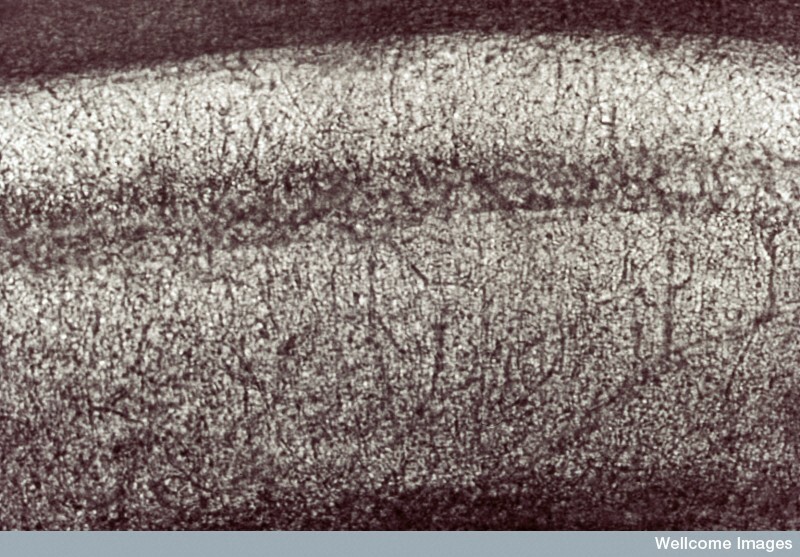 In experiments involving a sequence of events, CA1 hippocampal cells fire during a sequence. But, it is hard to distinguish between the time and the fact that the place was different in each part of the sequence; it could be a place cell instead. To differentiate time and place cells, different odors with a reward were given to rats in a specific order. This created a pattern in the CA1 cells. The places were used both in the specific test and in error tests to avoid confusion with place cells. These studies showed activity patterns for seconds, minutes, days and weeks. After training, if one of the odors was given, the CA1 cells would fire at the time of the next expected odor even without sensing them and while something completely different was occurring. Changing left and right turning didn’t affect the timing of the firing. Another study used mazes and had more complex sets of odors and rewards. When the rats were in entirely different places, the CA1 cells still fired on schedule, not related to place. Another study didn’t use locations but rather used techniques where they learned to choose a specific object to get a reward with a particular timing. Again, the cells fired on the correct interval. When the interval between the two events was increased, the same set of cells in the hippocampus altered their timing to reflect the new interval. Other experiments varied the speed of a treadmill to alter the distance travelled, which did not affect the time measurements either. 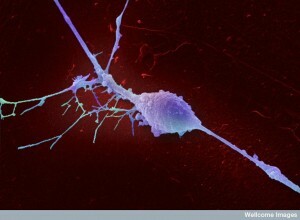 These neurons that were firing at specific intervals in a specific routine were called “time cells”. Another finding in these studies was that if the interval became much longer, the cells stayed active for much longer periods to reflect the difference. This property was considered to be related to the sense of time in human memory, which reflects, seconds, minutes, hours, days and years. 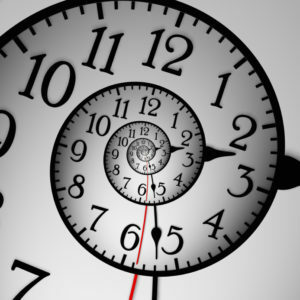 The time is measured in a series of neurons that fire in given time sequences, each connected to a different time sequence. The studies in mice showed that 80% of the neurons in this region were related to the time sequences. A different region appeared to be measuring how far they had run with different treadmill speeds. Some cells fired for time and some for distance and some cells were influenced by both of these factors. Other experiments held the animals in fixed positions, while giving them a smell and then a puff of air. Even in this circumstance, the time cells measured the intervals accurately. Similar results occurred in monkeys with specific cells that measured the time. 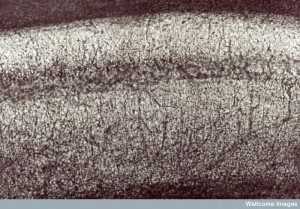 A smaller number of cells measured the particular objects being used in the hippocampus. It was noticed that there are adjoining regions where either the time was emphasized or the type of object was emphasized. The firing of time cells versus object cells was in the opposite hippocampal regions. 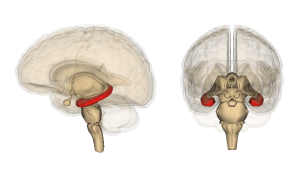 Three related nearby regions are in the hippocampus—entorhinal region, peri-rhinal region and inferotemporal cortex. 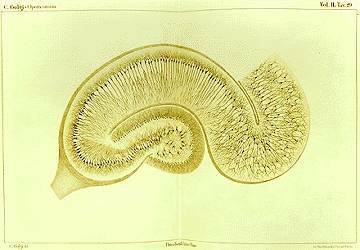 The hippocampus has the most time cells, then less in each adjoining region. The time cells were opposite with the most in the inferotemporal cortex then less in each of the other regions. .
As animals do structured tasks, the memory is coded in neuronal firing patterns if they have learned what has occurred. Then, remembering doing these tasks, the specific memories produce particular firing patterns. 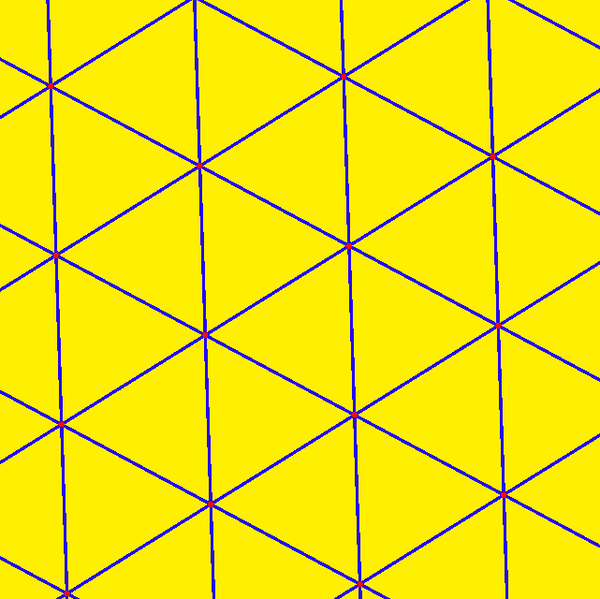 These patterns are, also, related to correct decisions that are made. Humans who are remembering specific video sequences, showed medial temporal lobe firing to the sequences remembered, mostly in the hippocampus. These timed firing were greater after repeats. 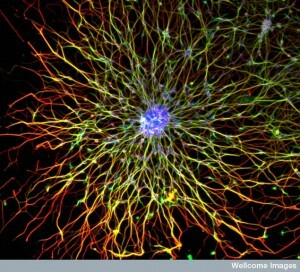 However, when specific learning doesn’t occur, the time cells do not develop a pattern. Random acts using the same objects and places do not produce time cell firing. Even in experiments with conditioning that were not completed, there was no time firing. Occasionally, a broader more general timing is coded that affects all the events of certain types. In humans, recalling memories of the videos with sequences of activity, made the cells fire. In animals if the learning trial only occurred once, then the firing patterns would change with further events. If the trials were better learned then these patterns would be retained. Therefore, the firing patterns can be related to very specific memories, but, also, to more ordinary events occurring between these memories. Examples might be a specific series of events that occurred in the morning and then more routine understanding of the normal events of the day that occur frequently. Patterns can, also, evolve over time. 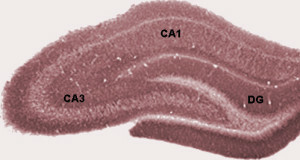 The same neurons in the CA1 hippocampus can be either time or place cells. When a rat was running on a treadmill in between tasks in a spatial maze task, the place cells would fire when they were in parts of the maze and the time cells fired during the running in place. Groups of neurons in CA1 fired during these tasks and some of the same neurons fired both for time and for place. When a spatial fact is changed, the space cells either re adapt or may stop firing. Likewise time cells re adapt their firing if the intervals are changing. It appears that the same process occurs in time and space cells. Both time and place cells can, also, understand more complex information. They can register distance and the direction of the movement as well as particular events that occur at that exact place (such as feeding or a particular smell in one place). They can, also, recognize a specific movement or action that must be taken in this situation. These cells are really experience cells, not just time and place. 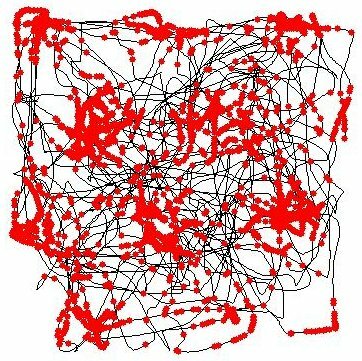 As animals move through a maze or a complex environment, both time and place cells record the activity. These same events can be replayed later while resting and during sleep of the animal. Recently, mice were noted to be thinking and planning different approaches to food during sleep. If the animal is remembering the events with the time and place cells are firing and it is disrupted, then the memory of the path will decrease. When an animal is about to do something entirely new, sometimes these coded patterns will fire to see if remembering will help. When an animal has learned two distinct paths to rewards, but they travel through a similar location, firing will only occur for the path that they were doing at that time, not the other. It is the larger understanding of what they are engaged in that will trigger the correct firing pattern, not the random common region. There are situations where time and place may not coincide. They have to choose either a spatial or a temporal code to get to where they want to go. An example of this is for the animal to discover a new path to a goal that is far away, which they understand. The animal can have memory neurons firing cues either with location information or the bodily movement information. Whichever way they had learned to move through the maze was the firing that appeared in the hippocampus—either location cue firing, or specific bodily sequences of turns. The cells remember sequences of events, sequences of places and sequences of particular actions. Time cells code events either independently or in sync with location and other important variables. Time cells are triggered by the intervals of the sequence, and space cells by the locations and landmarks and the look of the environment. Time cells are dependent upon learning of particular memories with some meaning and use the same neurons as the place cells. Circadian studies show that there are multiple different oscillatory molecular clocks in many cells, bodily organs and various brain regions. Clocks in the prefrontal and the parietal cortex stimulate specific activities at exact times by triggering the striatum, a center that controls behavior. Studies of these brain regions show logarithmic scales of time in the medial pre frontal cortex. Also, judgments about how much time has taken place need these cortex areas. These regions show specific brain wave frequencies that are different for space information and time information. Specifically, visual information that determines where we are at a given moment sends information to the hippocampus for these interval memories. The parahippocampus is very active in places from this visual stream of information. These visual scenes are, also, coded for sequences in memory—when they were observed. 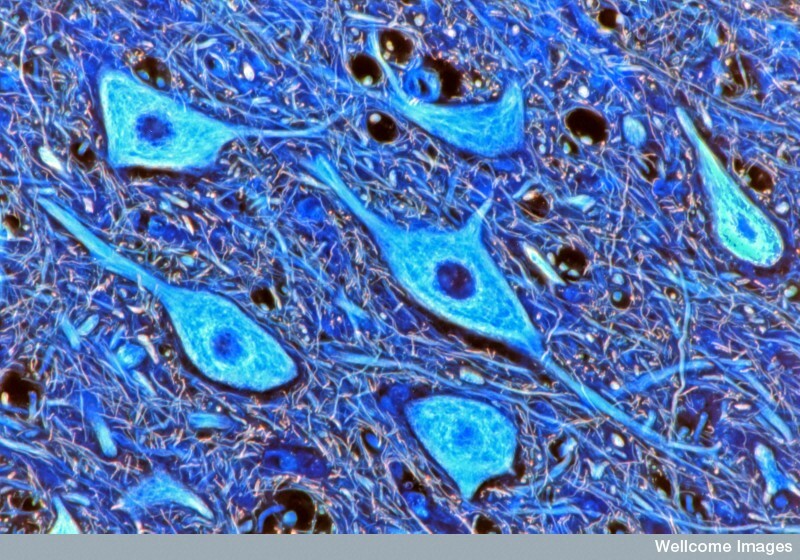 These neurons note the timed sequence of different objects and their identity. The hippocampus mainly does the time sequence and then, also, the object identity. Entorhinal cortex is where grid cells live. These fire at particular places, but, strangely they, also, fire when a mouse is on a treadmill. This implies that the cortex sends information about time to the memory centers of the hippocampus, which then breaks the time into specific intervals with the time cells. But, there is, also, evidence exists that the cells re adjust their intervals for a variety of factors from the memory information and the extent of the learning about that memory. When there are multiple memories of similar events, there are different sets of interval timing sequences that are triggered. Cells that fire later in the sequence do so for a longer period of time. It is possible that there are pre existing patterns that are then used for specific sequences in memory. There is some evidence that another region, CA2, is involved in time cells as well. It is not yet clear how much of the sequences originate in the hippocampus pre existing sequences and how much responds to what is sent from the cortex. Place cells, grid cells and head direction cells provide the internal map and gyroscope for our movement in the world. Now time cells are found to designate the particular sequence of events in a memory and time intervals involved. Both the place cells and time cells appear to have multiple functions including tagging a specific object to the place and the time. 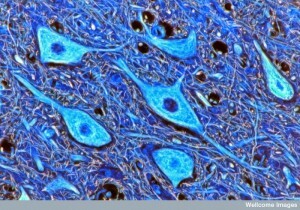 It, also, appears that similar types of neurons can become any one of these different cells. It is an exciting type of research that provides details as to how the brain receives and remembers mental concepts. 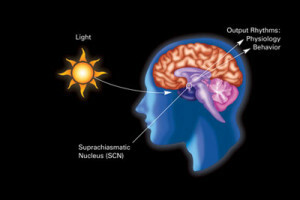 This entry was posted in Blog, Neuronal Plasticity, Human Brain and tagged place cells fire at a particular location, grid cells respond to direction and distance travelled, head direction cells respond to looking south, Time cells respond to sequence of events in memory, Time cells can associate with objects, place cells can associate with objects. Bookmark the permalink. I came to neuroscience through learning to draw. I have come to a conclusion that my drawings are created using sequences, and responses. I start a sequence and that sequence guides me through the drawing, the drawing happens on paper. The paper is a dynamic workspace which contains space and time. Once I understood this process my learning to draw technique improved a lot, I spend hours every day pushing information through my mind, the mind sorts it out into sequences, these sequences are then used to create future drawings. I am very struck that I can go ABCDEFG, but when I cannot do every third letter or run the sequence backwards. This thought was a important discovery. The mind is very rigid. I can’t go ACDEGH because the sequences I have learnt are being broken. I also noticed that all my life I have had trouble with sequences, being slow to learn my ABC. I was a very dyslectic child, I think this is because as I am running through a chain they break and I get lost. I still cannot say the Lords Prayer in sequence, I go wrong in the. the same with poetry. I think some forms of dyslexia are to do with inability to run sequences consistently. This principle of the absolute division that sets humanity apart from all the other species inhabiting the biosphere is evidenced in ongoing technological revolutions that have put mankind on the brink of literally inhabiting other worlds through colonization and economic development of the resources of extra terrestrial bodies. As a particularly remarkable example of this consider China’s plan to mine the moon’s abundant supply of Helium 3 isotope for fuel for future nuclear fusion reactors.